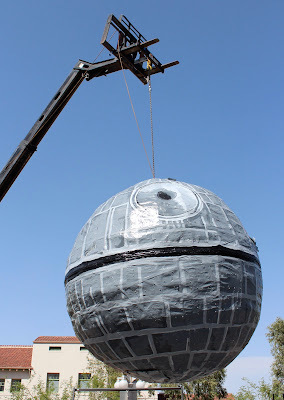 In a recent post, we shared our Encounter with the 12 Foot Star Wars Death Star Pinata that we got to see this past Saturday for May the 4th at Hotel Congress in Tucson, AZ. This would be truly a memorable moment for us being huge Star Wars fans and who would ever think to see a gigantic Death Star Pinata. After the event of seeing the children getting all of the candy from the Death Star, we would get the opportunity to meet the artist behind this amazing creation, Moises Orozco. A couple of days after the Star Wars event this past Saturday, we would get the opportunity to visit Moises Orozco where he creates his art, Tucson Sculpture Resource Center. 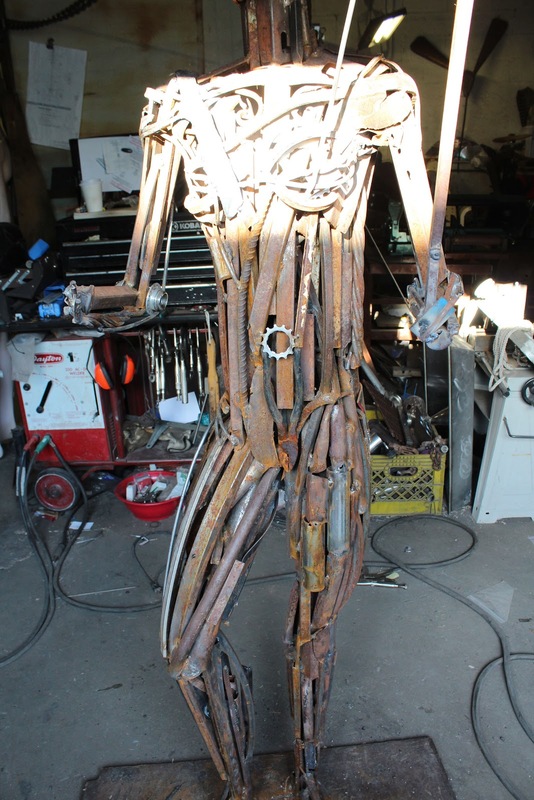 Moises was actually working on a new piece he was creating from metal. 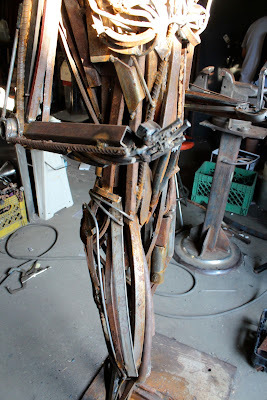 When we arrived at the Sculpture Resource Center, Moises was working on this sculpture. The sculpture is a metal sculpture of an Athena like character carrying her weapons. The weapons were to be replaced with shears since the person who he was creating it for is a stylist. 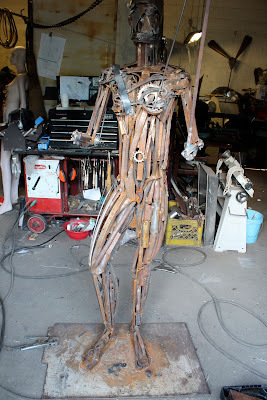 Pretty amazing to see how he would take metal rods to form them and weld them together to create a human sculpture. AKG: We would immediately jump into asking him questions about his art. Moises Orozco: He does not look at his art as work, he looks at it as him experiencing the process, whatever creation is as if this was his child and he is giving birth. He feels art is like magic and he feels that it becomes him. He feels blessed to know that he has been given this experience to create for others. Whatever it is, he is willing to give it a shot to create. He mentions quite a bit that his art is magical because he feels the energy when he is creating and enjoys how each piece he places fits into the next piece and fills those holes. Stopping and focusing on his art, makes him push to do his best. He would use a reference as if we were Jedi. He says that Jedi is a perfect example of someone who is a "Perfect trainer". A Jedi trains to be the best, which he says he tries to do in his art. AKG: How long have you been an artist? Moises Orozco: He has been an artist all of his life. We grow up in art, but seem to grow out of it. He is upset how society seems to be taking art away from the schools. AKG: What mediums of art do you use? Moises Orozco: Metal, wood, pen and ink. He then asks us if we would like to see his drawings. He keeps all of his works, whether they are just small doodles. He mentions that they have a drawing session on Wednesday nights. AKG: Do you always draw out what you are going to create? Moises Orozco: He does not like to practice something out. He believes in just doing it because recreating sometimes does not work out. 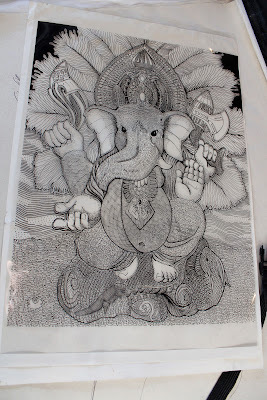 He shares a special sketch he began working on at the 4th Ave. Street Fair in March that he felt was on his mind when he had a break from doing Henna Tattoos. He showed us the original sketch and would then show us what he plans to use to create prints. 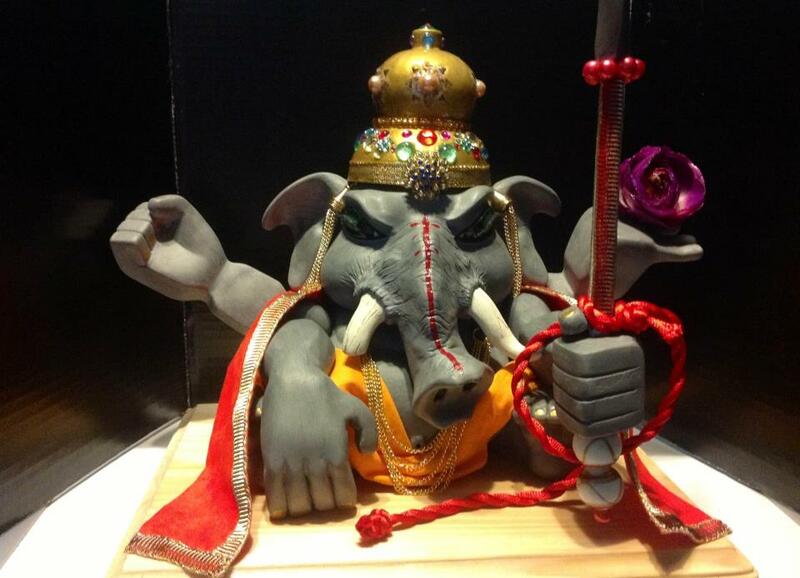 It would happen to be a Ganesha. When I saw the drawing I was kind of speechless and in shock. I told him this was amazing because my brother Matt Perez aka Obscure had just worked on his custom vinyl toy Bad Bad Ganesha that he finished in March. 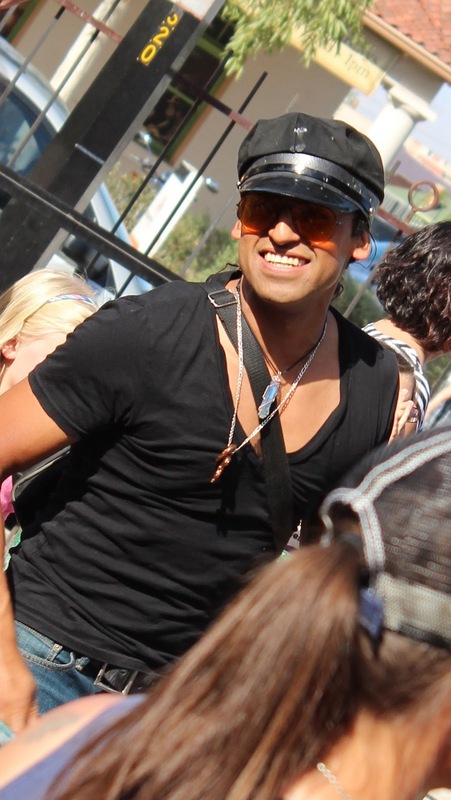 Moises felt that it was a connection that they would be creating something very similar. AKG's Obscure "Bad Bad Ganesha"
AKG: We asked Moises who are some of his influences? Moises Orozco: He appreciates art, but he tries not to look at one artist. He loves being able to see a piece of art and loving it without knowing who created it. He mentions Michelangelo in his sculptures. 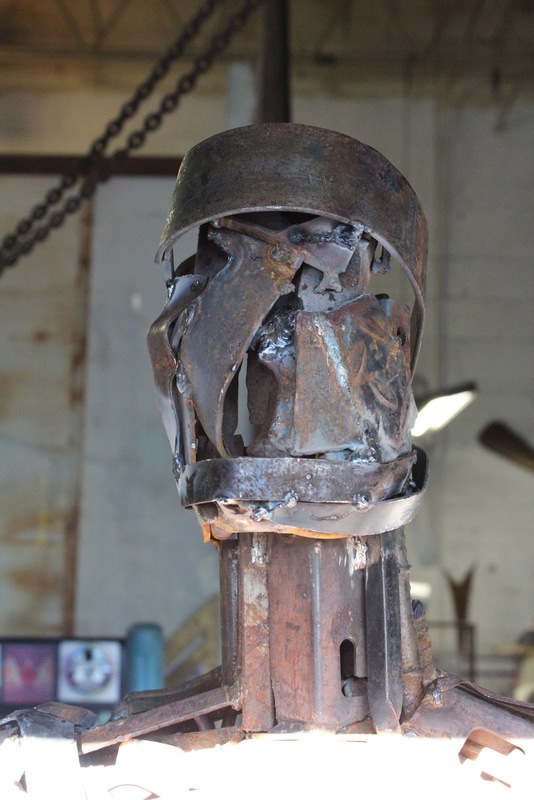 He says that it is amazing to know how the artists can create an amazing sculpture that they go into a state of mind that allows them to create. 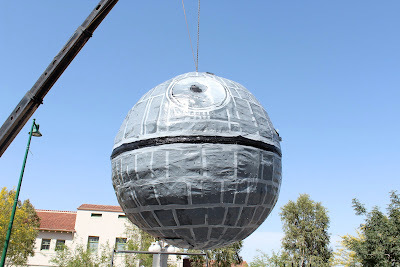 AKG: How long did it take to create the Death Star and how did you build it? Moises Orozco: Hotel Congress came to him and asked if he could create a Death Star. He said "Yeah!!". It took a couple of weeks to create. 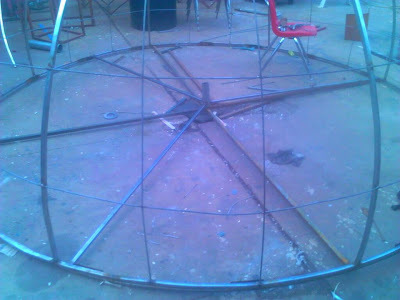 The ring is 1" by 1" square tubing and the rest of the frame is 3/4" by 3/4" tubing, and he would then use 1/4" round stock metal. 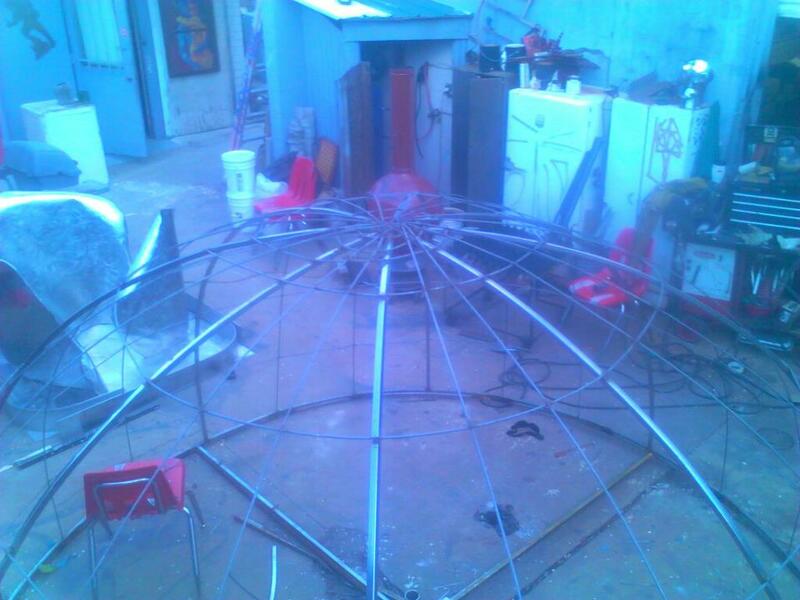 Once he created the circular frame, he would then use chicken wire to be placed all around for the sphere. He mentions again how exhilarating and exciting it is to see his art to come alive. This would be the beginning process in creating the Death Star by creating the circle that it would be patterned off of. After building the frame, he would use the process of paper mache. It required a great deal of layers of newspaper and a flour paste that holds the newspaper together that will then dry and harden. 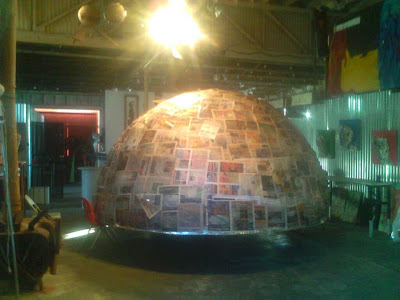 Once the sphere was created with the paper mache all around, he then took a Death Star drawing he found to paint it. The ending result would be this! Did we say that he created a 12 foot Star Wars Death Star Pinata?? Truly awesome! We would continue to talk about art and what was inside the Sculpture Resource Center. 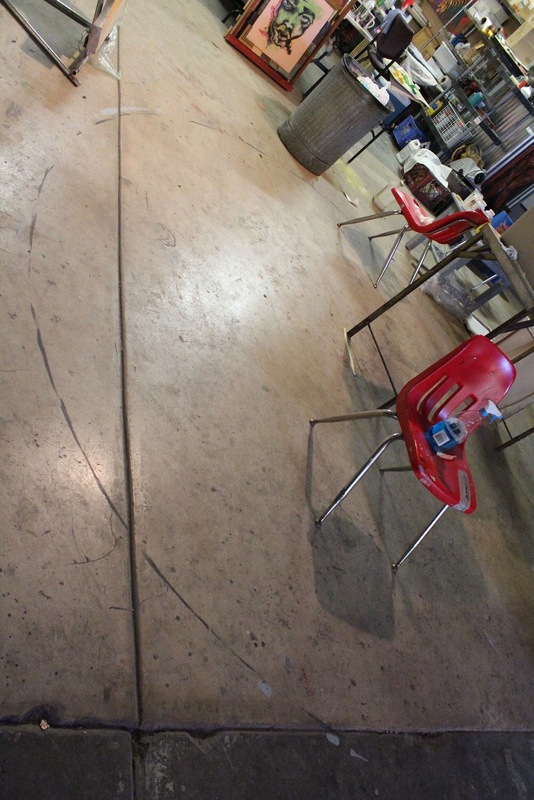 Amazing artists work out of this studio. 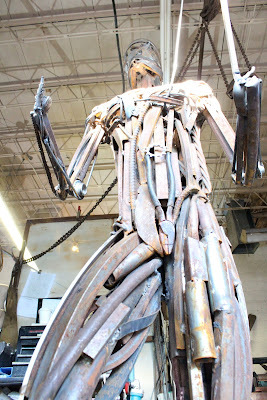 They also host many art shows that we definitely plan to visit in the future. We thank Moises for the interview opportunity and it was truly an amazing experience to be able to talk with him.